Destiny Obi-Wan SM Kryptonite Courtesan "Lexxi"
Destiny Obi-Wan Superdog of Phenix-Uziduzit "Krypto"
Destiny Obi-Wan 'Tis Super-Man of the Hour "Hero"
Welcome to the homepage for Obi-Wan salukis. Our love affair with salukis began in 1973, and continues to grow as we explore the multiple facets of life with salukis. Our goal as guardians of the breed is to preserve functional ability, unmistakable breed type, native intelligence, and depth of character. 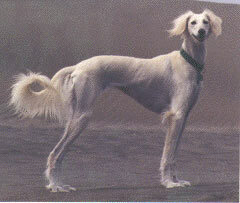 Obi-Wan salukis have distinguished themselves in the conformation show ring, on the lure-coursing field, in the obedience and rally rings, and in the open field on live game. Sharon Walls has been owned by salukis since 1977. She works as a Fiscal Analyst in order to maintain the standard of living to which her hounds have become accustomed. Her other interests include bellydancing, homebrewing, collecting cacti, studying Middle Eastern cultures, and playing with the Society for Creative Anachronism. Sharon has been a member of the Saluki Club of America since 1992, serving in the roles of Treasurer, Corresponding Secretary, and Vice President. 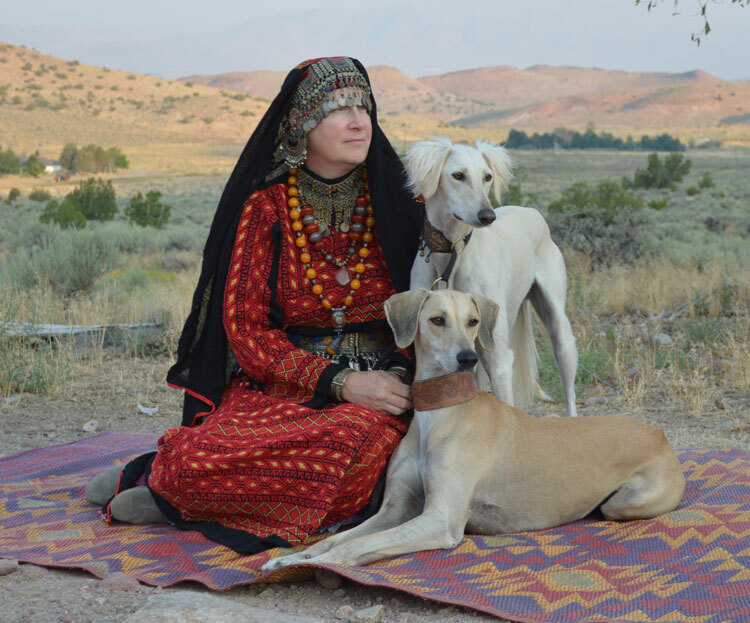 Sharon is also an active member of American Saluki Association, as well as working as a volunteer for STOLA Saluki Rescue. Mark Heddleston married into salukis in 1994. He brought with him one schipperke, Champion Ebonystar Drambuie. He is a programmer, software engineer, tech support specialist, and computer operator. His other interests include kite flying, netsurfing, science fiction, anything computer related, and playing with the Society for Creative Anachronism. In 2012, Obi-Wan Salukis made the move to Reno, Nevada. Our hounds are greatly enjoying the opportunity to hunt live game. Puppies occasionally, breed information and referral cheerfully shared!